We are located in historical downtown Starke. We have a full service bar and restaurant. Our menu is American Contemporary Cuisine. We have additional banquet/meeting space and a full catering staff. 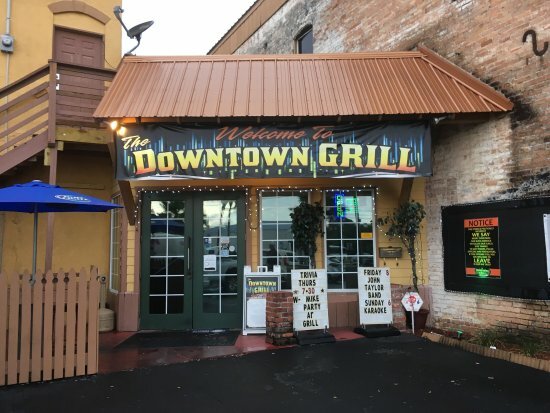 The Downtown Grill is locally owned and operated with live local music. We are community driven and extremely family oriented.